Tycoon Vikas Oberoi says a liquidity squeeze may help to reshape India’s property industry. 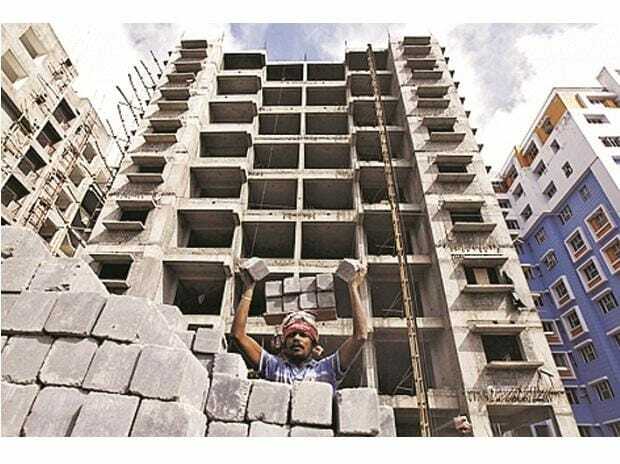 Scarcer financing, combined with tighter government oversight of the sector in recent years, may help to clear away some “fly-by-night” firms and foster consolidation, according to the chairman of Oberoi Realty Ltd.
Defaults last year by IL&FS group triggered a crisis among shadow lenders, putting the squeeze on borrowers including home builders. The fallout from the saga may help firms such as Oberoi, the nation’s third-biggest listed developer, to expand shares of a fragmented market. Debt concerns have pushed funding costs for non-bank lenders to multi-year highs in recent weeks, casting a shadow over the Indian economy ahead of the nation’s election. India’s property industry has been reeling for years from the economic shock of the government withdrawing high-value rupee notes from circulation in 2016 and imposing a sales tax the following year. The sector has seen sluggish sales, mounting inventories and falling prices. Tighter regulation took effect in 2016 and 2017. Oberoi, which builds luxury homes and is constructing Mumbai’s first Ritz Carlton, plans so-called affordable homes selling for about $150,000 each. In the Mumbai suburb of Thane, such dwellings may be about 600 square feet (56 square meters) in size, while in another suburb, Borivali, micro apartments as small as 300 square feet are a possibility. Company may sell a REIT in 2020 or 2021 once its commercial property assets reach about $300 million. Oberoi plans to secure more land through auctions and bankruptcy proceedings. Company won’t take over unfinished projects from other developers because it prefers to stick to its own designs and processes.